It’s a Smoothie thing! How to create your own recipes. The idea of processing what we can chew to make an on-the-go meal might be appealing to some… unless you like food. And I’m a foodie before fitness so this took some time. I bought a Vitamix in 2016. I never used the Vitamix. I bought books about it. At the end of the day I preferred to bake or broil before blending but that was just me. The truth is that I like smoothies but I didn’t like making them. Until now. I began to wonder about the flavor that certain combinations would create. That was basically the end to the beginning. Here’s my thought to keeping it simple and how to develop your own recipes. Don’t overwhelm yourself just breathe. Pick one main ingredient that inspires you. Find other veggies, fruits, grains or seasonings that will complement it. Here’s my formula: Power Veggie + Natural Fiber + Flavor Fruit + Seed + Liquid = basic smoothie. 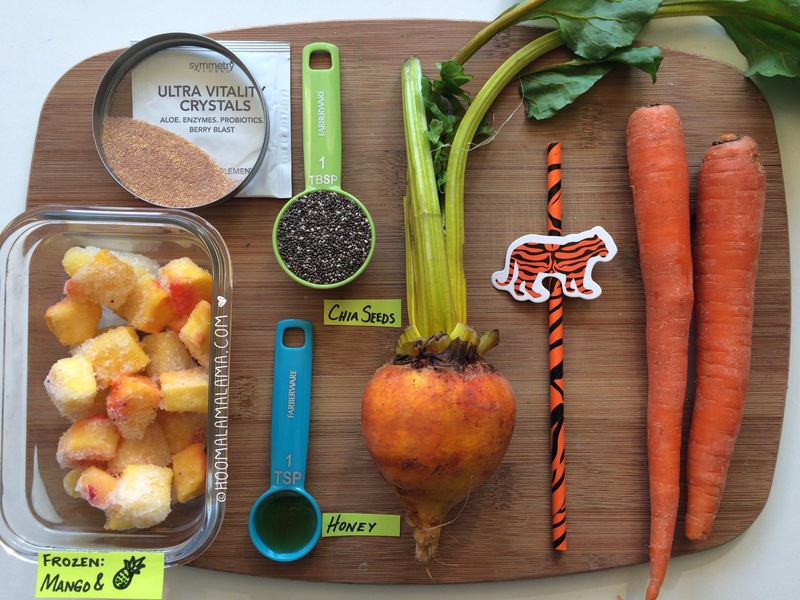 Example: golden beets (power veg), carrots & beet tops (fiber), mango & pineapple (flavor fruit), chia (seed) then water. I drizzled honey on top for flavor and extra energy but the best part is that a lot of these ingredients provide dual benefits. My Instagram page is holding me accountable to drinking at least one smoothie per week. So wish me luck and I’m sending some your way too. If you have an awesome recipe put it in the comment box. PEACE Be the Journey.